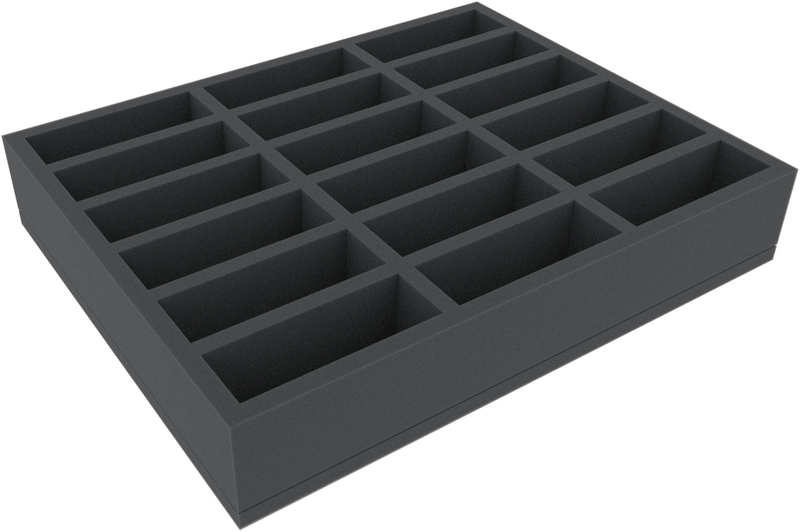 On this Full-Size foam tray you have 18 compartments of the same size, in which up to 18 longish models of the Gloomspite Gitz can be safely and neatly accommodated. The insert is therefore ideal for storing and transporting the Boingrot Bounders, Squig Hoppers, and the Fanatics. 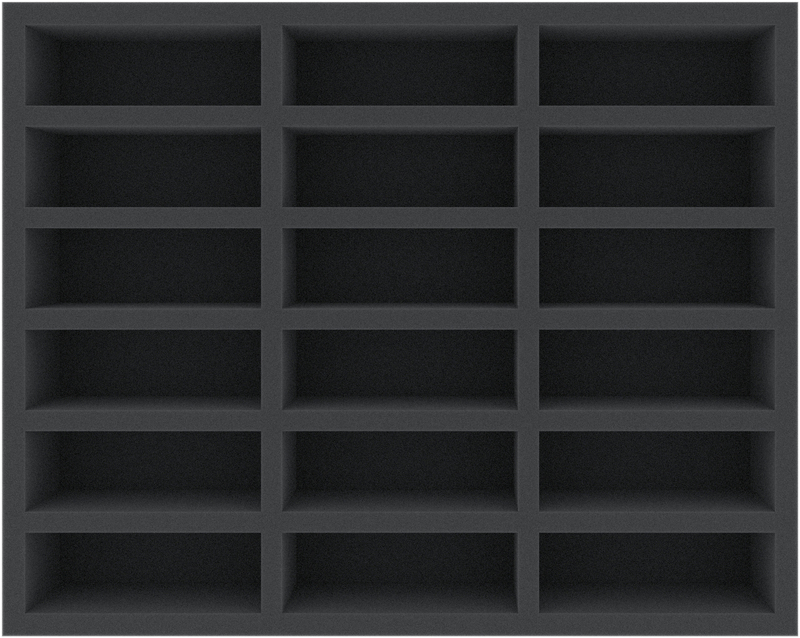 Each of the 18 compartments is 102 mm long x 35 mm wide x 50 mm deep.